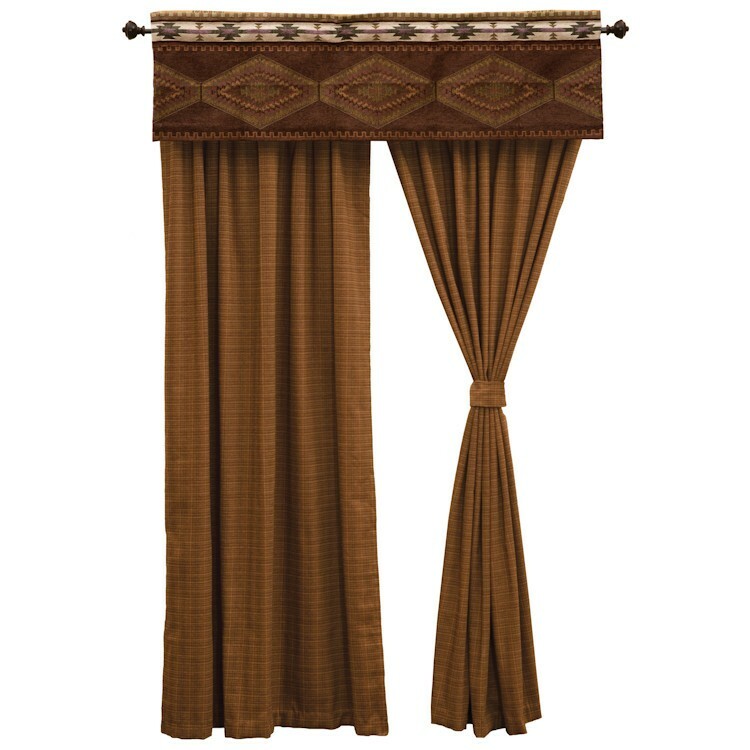 Dress your windows with the Tracker Drapes featuring a textured tweed in warm earth tones with an emphases on gold tones; the perfect back drop for the Pueblo Heather Valance. These window treatments are a beautiful addition to any room in your home. Dress your windows with the Tracker Drapes. featuring a textured tweed in warm earth tones with an emphases on gold tones; the perfect back drop for the Pueblo Heather Valance. These window treatments are a beautiful addition to any room in your home.